Norman Williams is the owner of U.S. Mechanisms, a manufacturing company that provides X Marine, a system for the conversion of water to a clean burning gas. Showcasing an expertise in combustion engine research and development, he is motivated by the skills and insight he learned while serving in the United States Marine Corps for four years. 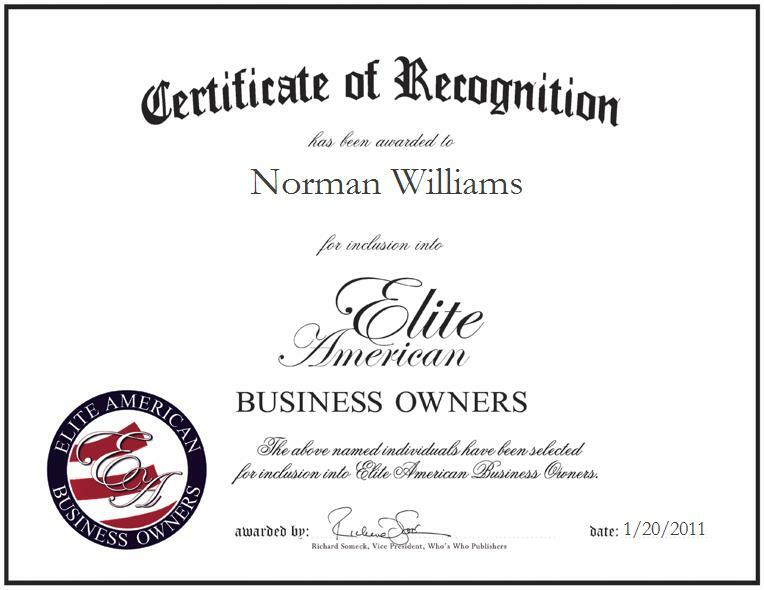 Mr. Williams accredits his success to his passion and 100-percent commitment to his profession; thus, he followed his own advice: “if you don’t love your work, get out.” A hard working entrepreneur, he has made countless sacrifices and reaped recognition on the front page of the New York Daily News in 1993 for his outstanding wartime services.